I’ve had a bit of help with this teen girl gift guide; massive thanks to Rosalie who sat with me and went through all of the things she would be pleased (or not pleased) to receive as a Christmas present, and then did exactly the same thing putting herself in her older sister’s shoes so that I had both ends of the teen age spectrum covered! I then added in stuff I’d heard other teens mention (I’ve been eavesdropping like a total weirdo for weeks – supermarket queues, coffee shops, tube stations) and a few of my own ideas. It’s mostly pretty girly on this page I’m afraid; I have no clue what teen boys would like. If anyone has useful suggestions then do pop them in the comments – it’s always good when we build up a little database of these things! 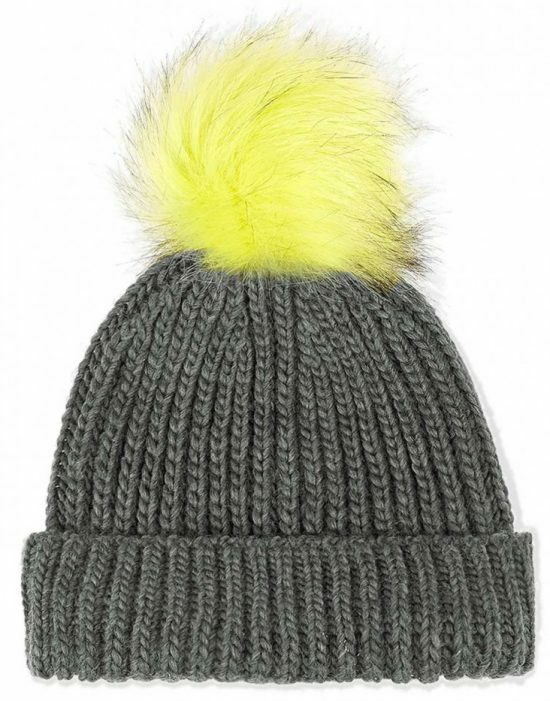 Topshop Grey Pom Pom Hat, £14 here. Because pom poms, on anything, apparently, are just great. 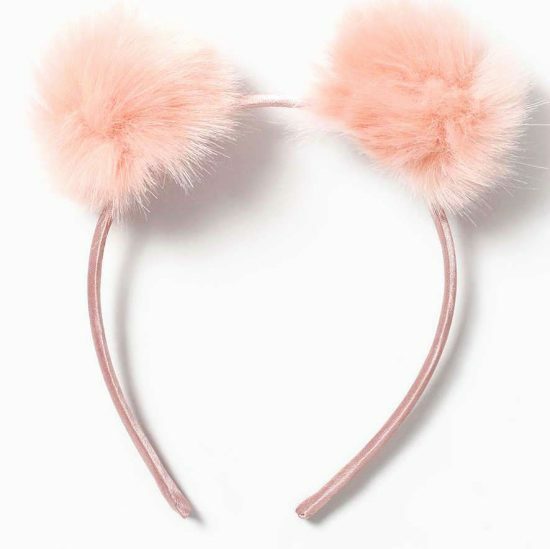 So it follows that this pink pom pom headband is equally covetable: it’s £8 at Topshop here. I’d nab this collection of peachy blushers, too – Models Own came up a firm favourite when I asked about makeup brands. 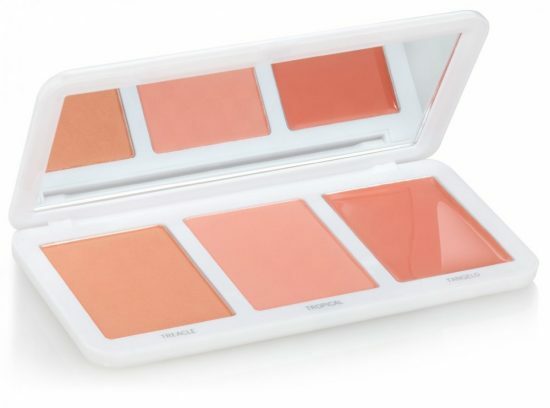 Find this palette at ASOS here – it’s the Pretty Peach version. Top makeup item, as revealed by my teen advisors? 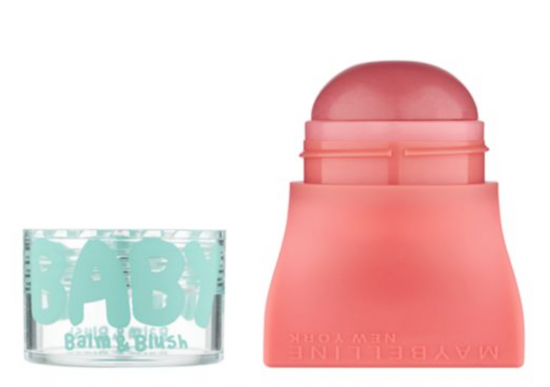 The Maybelline Baby Lips Balm & Blush! Who knew? 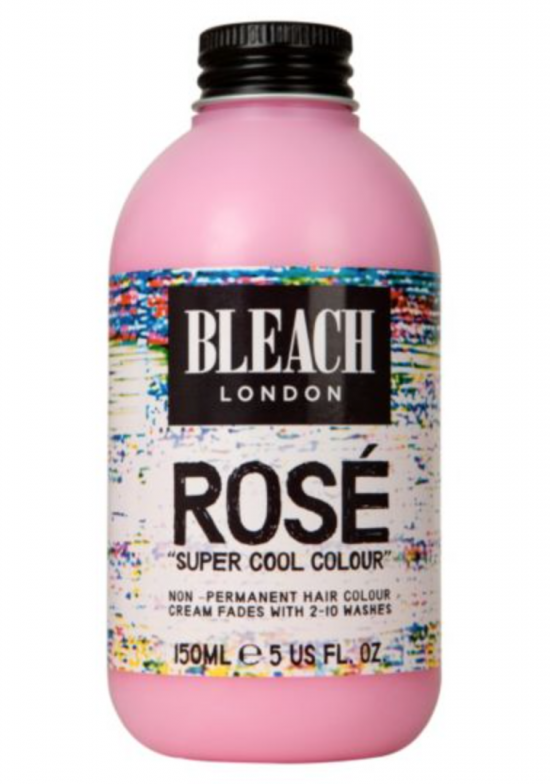 I like this Innocent Peach shade – it’s £4.99 at Boots here. But if you balk at the price, there’s an equally quirky-looking Moschino Clouds fragrance for a more purse-pleasing £14.95 here. 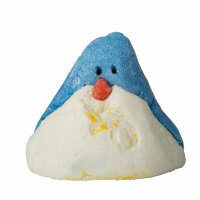 …as well as the less obvious and slightly cooler (“IMO” which is “in my opinion”, FYI) ice cream version, £11.99 here. 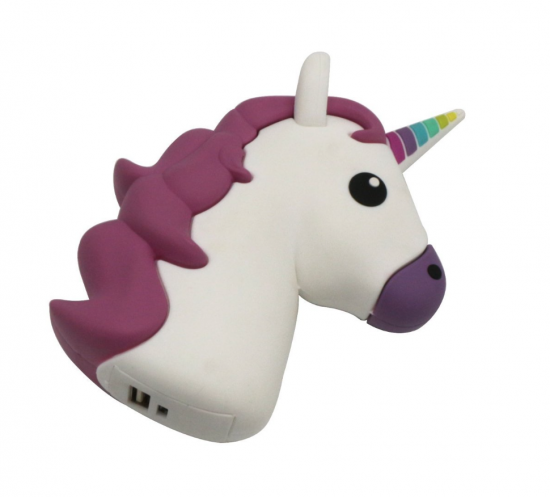 Unicorns were definitely a theme, however, and so were fairy lights (no doubt thanks to Youtubers like Zoella and T Burr with their pretty backgrounds!) 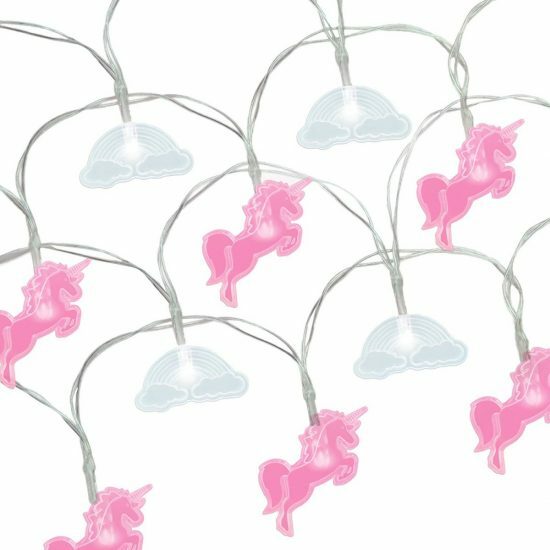 so I combined the two and found unicorn lights. You’re welcome. They are £10.79 here. 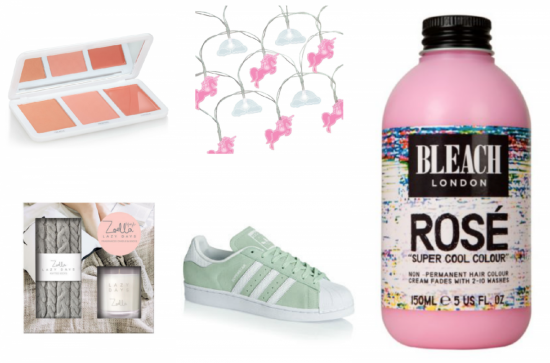 Talking of Zoella; her stationery, gifting and beauty ranges came up top of the wishlist. I like this Lazy Days cosy sock-and-candle set from Superdrug – it’s £16 here. One I’d have never thought of: a cake pop maker! 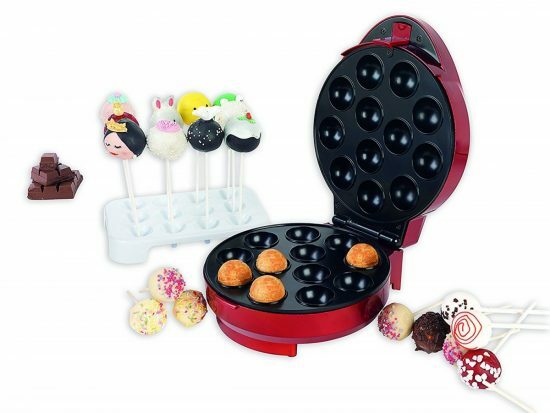 I think this is just brilliant – I’d be excited to use it myself, not least because then I would definitely-have-to-immediately eat all of the cake pops I’d created. It’s £26.81 (random) here. Emoji mania, anyone? We’ve had the iphone chargers, now let’s have the cushions. 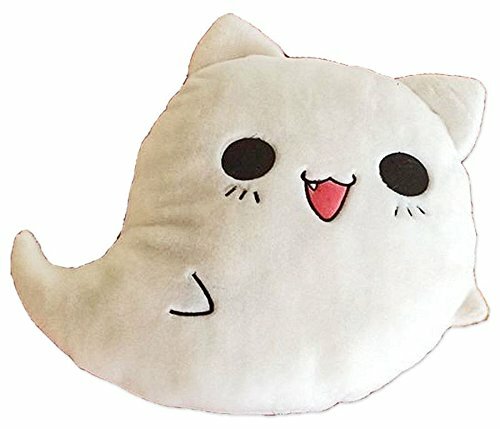 Here’s the “ghost cat” (is that right? I’m so uncool) and it’s a mere £8.99 at Amazon here. 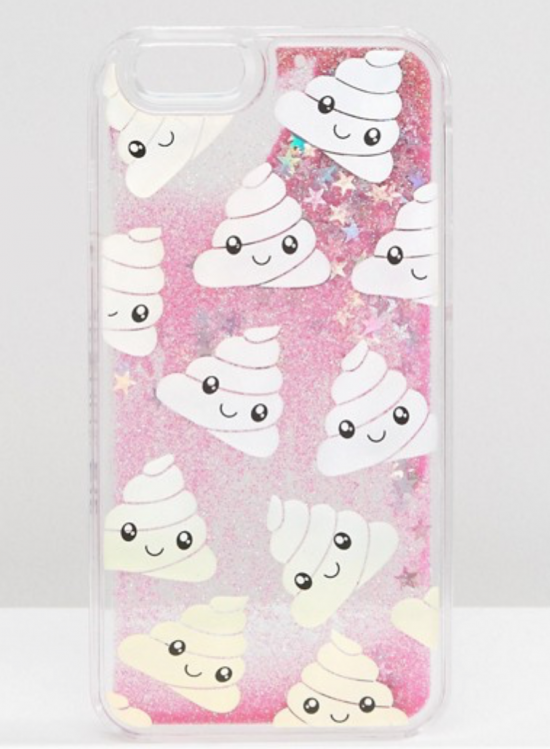 And the emoji sparkle-poo iPhone case? All yours: £18 at ASOS here. Skinny Dip phone cases are incredibly popular, apparently. I like the “Flying F*ck” one (look it up on ASOS) but I didn’t think it was entirely appropriate here..
Oooh, I almost forgot to put in the Mermaid Tail Blanket – £32 at Topshop here. This is one of my favourite finds, just because it’s so absolutely bonkers. I mean. 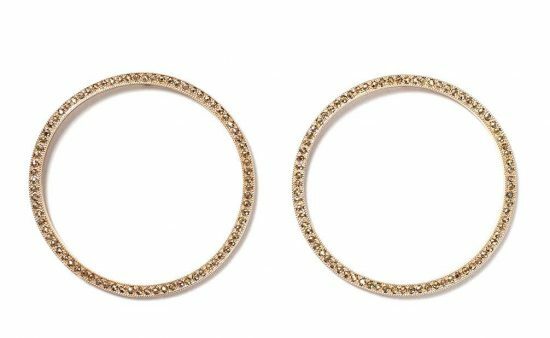 And mega-earrings (£10 at Topshop here), for those who don’t worry yet about such trivial things as catching their earrings in tube doors and getting their lobes ripped off. Enjoy the uncomplicated, anxiety-free life while you can, dear teens! One day you might be a neurotic health and safety freak like me! Much safer to stick to nail art, in my opinion. Unless you accidentally inhale – oh never mind. 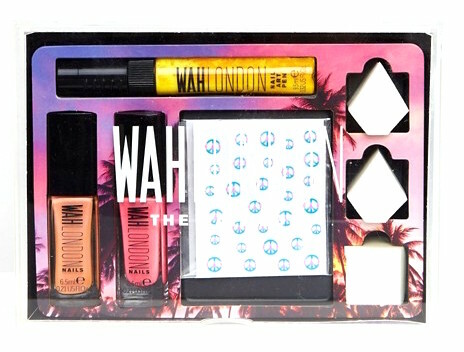 This set from WAH nails is brilliant – £23 at ASOS here. 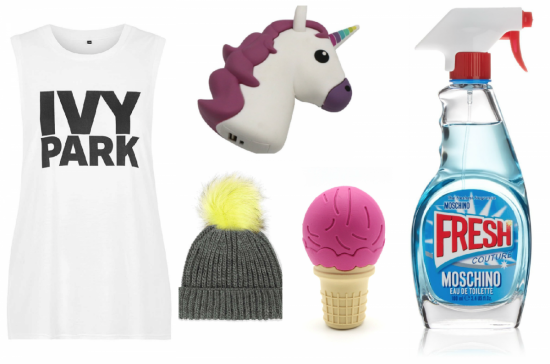 I can’t think of anything to link my last few items, but they were at the top of the teen wishlist. 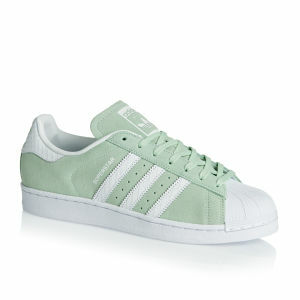 First: Adidas “shell toes” – I like them in mint green suede. They are £75 at ASOS here. 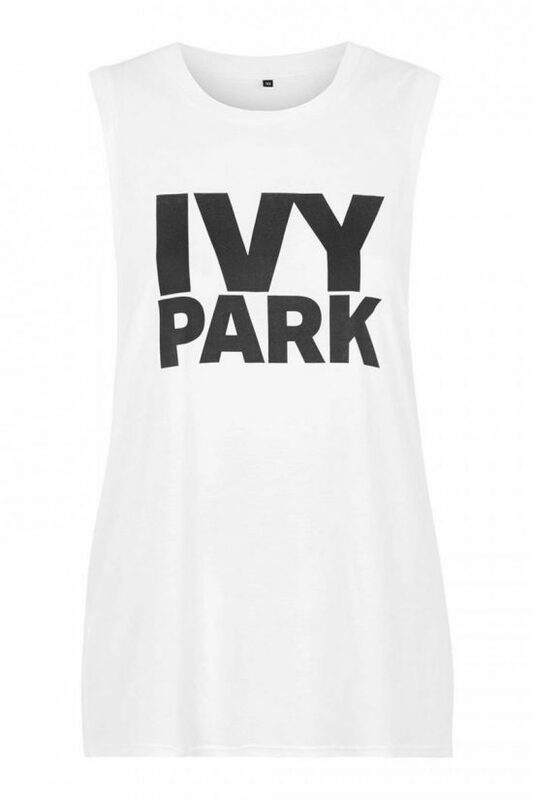 Equally lust-worthy, apparently, the Ivy Park range, available at Topshop. Has the most bizarre sizing I’ve ever experienced, but hey-ho! I like the drop armhole vest top – just remember you need to wear something underneath! It’s £15 here. And, finally (I could keep going but I’m on hour seven, here, and counting) some stripy socks were requested. Warm and cosy, cute-looking. 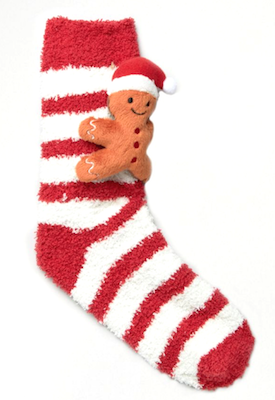 I found some Gingerbread Man ones, suitably festive – they are at ASOS here for £8. Right – that better have been useful because I’ve actually developed bedsores I’ve been sat here so long! 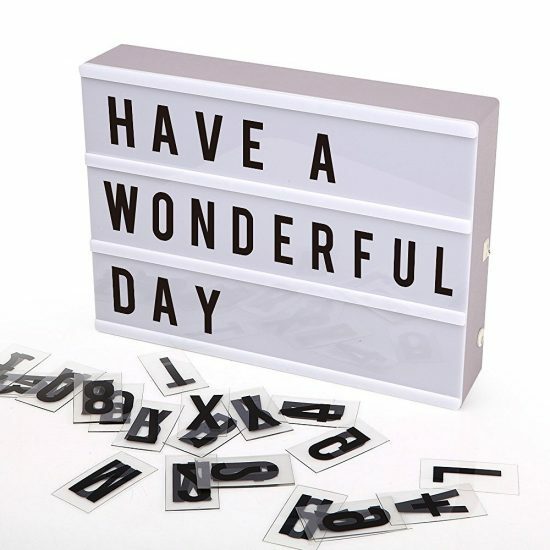 If you want to browse the other gift guides then they’re all HERE.